On another note this weather is kicking up some serious Pollen and dust and pushing it South into Melbourne. Lots of people struggling with coughing after being outside. (Me included) dangerous for asthma sufferers. 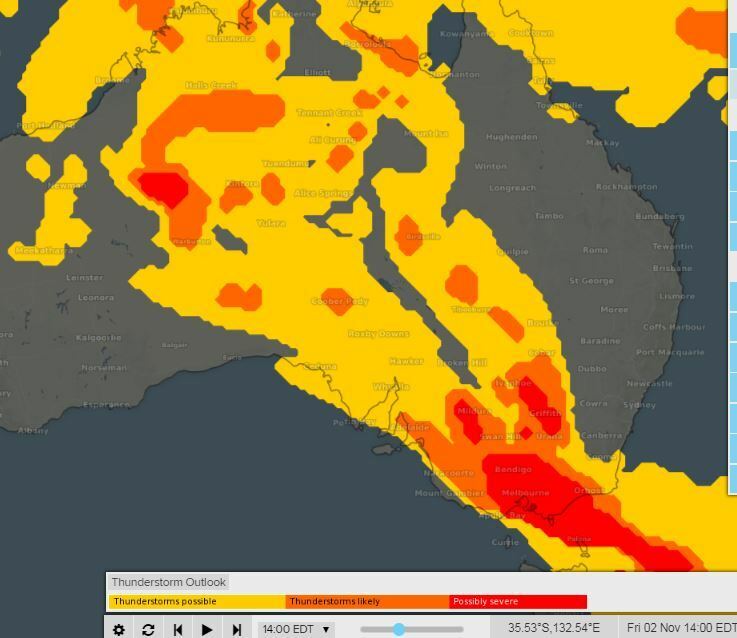 Lucky NO Severe Thunderstorms came from the NW VIC and hit the CBD or Greater Melbourne Area but for those in the North Central, North East and Gippsland in particular W&S Gippsland it could be a minor epidemic as long as there not to many big rain drops. 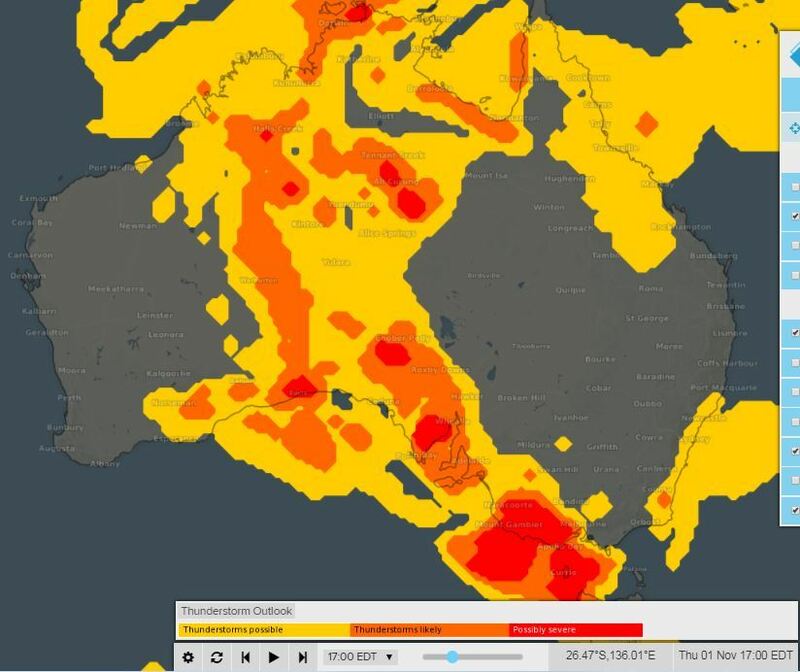 Another reason why they upgraded all the state to a MODERATE Warning apart from the Mallee. On a Storm Note the ACCESS-C Has nailed the change on the head literally. 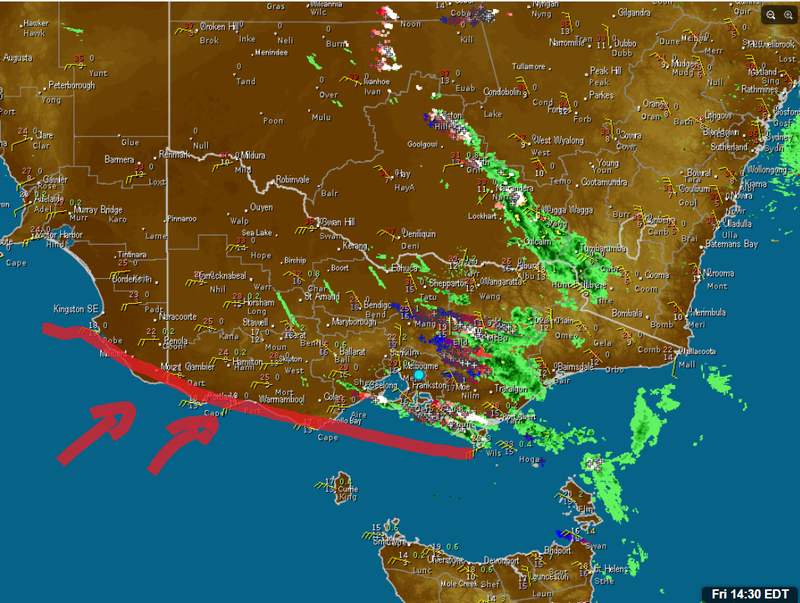 The Seabreeze has also now hit Melbourne and Port Phillip on cue around 4pm-4:10pm and now looks like all storms will be NORTH of Melbourne and along the convergence line in Gippsland and will continue along the line till around after 8pm when storms will start to ease over the eastern ranges. Some interesting temps around Melbourne. Still around 30c here in Tarneit, south west of the CBD, the city is around 23c. Baro still at 999 hPa, so hoping for another overnight shower as the front peters itself out. 6 registered (Homer, explorer, Manly, Sidney, Mike Hauber, wetdreams), 64 Guests and 4 Spiders online.